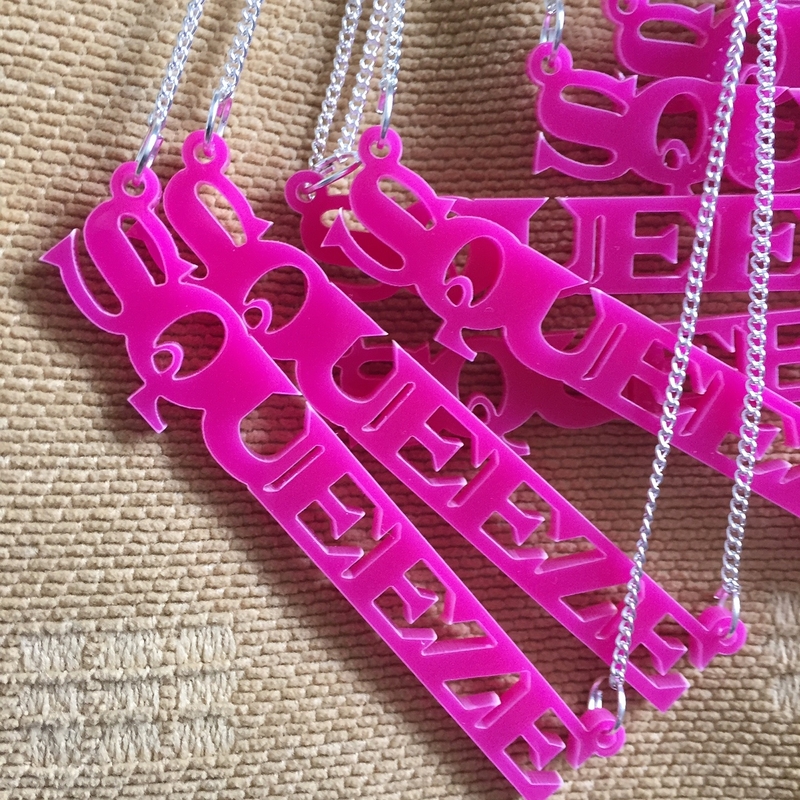 We are Huge Squeeze fans, and simply had to share the love with these necklaces. These are bright pink, come on a silver plated chain, they’re bright and bold and we hope you like them as much as we like Squeeze. Hello, ok, these puppies are on the website now, If you fancy one you can either go thru the website (flat rate postage £3.95 – handy if you’re buying more than one item) Or you can pay us direct with a bank transfer and we’ll charge you just £2 postage. Thanks Squeeze fans!